I think it may not even be bothered about the Welcome.. blooming is what matters. Yet, it is a beautiful haiku as beautiful as the rose here.. well done.. So beautiful, sweet, and delicate. The rose is certainly a beautiful stranger in winter. Nicely written. @Ramesh - Thanks and welcome here ! @Scribbler - Thank you ! 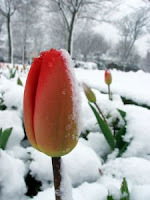 @Write Girl - Thanks and welcome!its always good to see blooms in winter ! @Swaram - Thank you my dear ! @MM Teacher - thanks and welcome! very beautiful.. :) the imagery here is well stated!